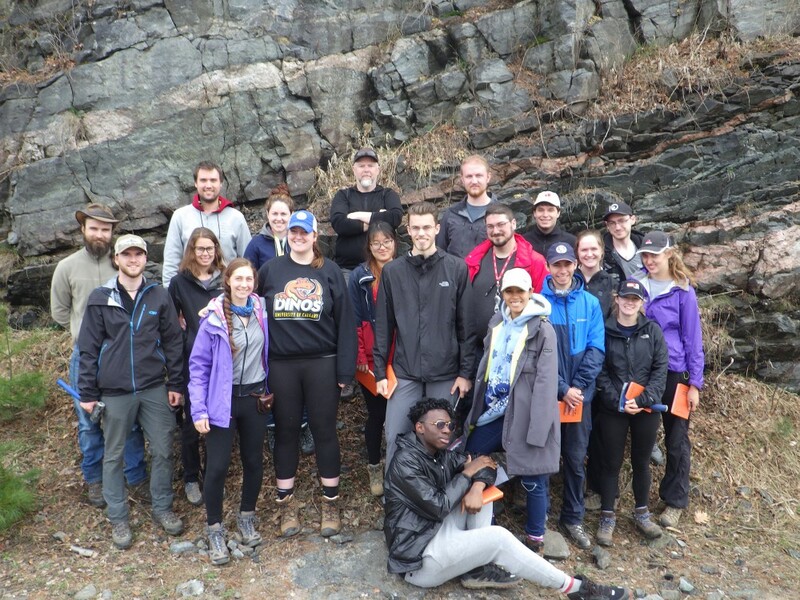 The department would like to thank the generosity of Susan Rust for financially supporting the 2nd- and 3rd-year geology field courses. She has contributed this support in honour of her late husband and former professor of geology, Brian Rust. Brian was an intellectual man who loved the outdoors. Studying geology was a perfect fit for him. He shared his enthusiasm and taught all levels. He cared about people and his students and colleagues were extended family. In the 1970s he did field work in the Gaspé. He used maps made by Sir William Logan more than a century before and he was impressed with the quality of the work. He set high standards for himself and others. He died in 1990 in Ottawa from malaria contracted in Zambia whilst working with a graduate student. More than 20 years later I met a Dutch student working in the Bay of Fundy who told me he had read Brian's papers and they had relevance for him. Brian said "If some can give less, then that is an opportunity for others to give more.” Money isn't the only way to contribute to society. I would hope for you to enjoy the field trip, do good work and help others. If you would like to help give students similar opportunities in our programs, please contact the Alumni Relations Officer of the Faculty of Science, Anne-Sophie Ducellier.